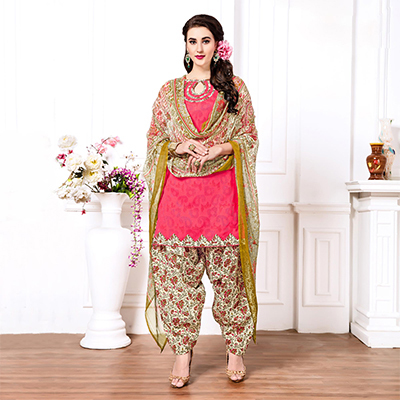 New and unique, here is pink colored patiala suit which is paired with contrasting cream colored bottom and dupatta. 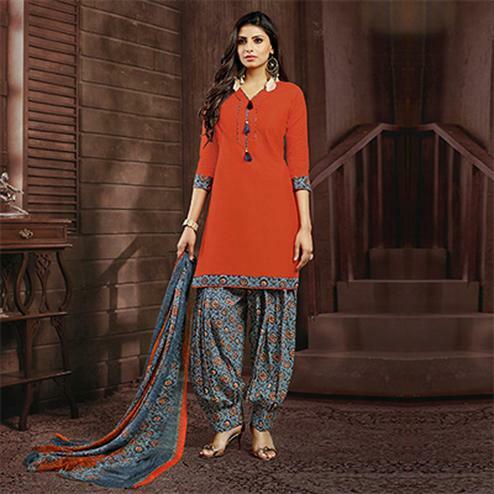 This outfit has got cotton blend top enriched with fancy paisley print work done at entire part. The attire is completed with cream color poly cotton bottom and chiffon dupatta showcasing multicolored floral prints. Suitable for parties, functions and get together.